Q. Misbah, not pretty, but a win is a win. MISBAH-UL-HAQ: Yeah. The situation we were batting, the kind of start we had, and then at one stage the way Williams and Taylor is going, I think it's really pleasing that we could just manage to win the game. Q. Did you feel in yourself batting or also in the field, was there an anxiousness in the team because how you started and that the match could have gone all the way? MISBAH-UL-HAQ: I think the team fought really well, especially credit goes to the bowlers. They just kept the pressure, just kept taking wickets. That's the key in this World Cup. Even if you are just defending a low total, if you have the bowlers who can take wickets and totals, you can really just penetrate, and that's what especially the fast bowlers did today. Irfan really started well, and right from the start they just put them under pressure, and then the kind of spell Wahab bowled in that total and that start, I think that was the key. All other bowlers, especially Sohail Khan and Rahat, they really bowled well. And then Shahid Afridi, the four last overs was very crucial, especially the 47th maiden, that was the key. I think credit should be given to the team, especially the bowlers, and the way we just defended the total out there. Q. Misbah, you're probably getting quite used to having to carry the batting on your own and maybe a bit of lack of support. How difficult is it for you to have to always be the person that's relied on in those situations, and what do you wish the rest of the batsmen would do to help you out? MISBAH-UL-HAQ: That is being a problem for us, unfortunately. These conditions are not easy. We have been playing in New Zealand and Australia. If you lost confidence once, it could be really difficult for you as a batsman to just come out of that, and unfortunate that our top order is just in that kind of mental state, and they're not getting out of that. So it's really difficult for me, also, and the lower and the middle order batsmen to just keep on going like that because sometimes you lose your temperament, also, and in these conditions, especially when the team is at top, it could really be difficult for you to just handle these sort of situations. And I think a team like Zimbabwe, which has limited resources in bowling, they can really put you under pressure the way they did today. So I think top order is always the key, and if we really need to go further in this World Cup, we have to improve that. Q. How big a concern is it for you that your batsmen are not putting up enough runs, tough matches against South Africa? Have you spent enough time here in Australia? MISBAH-UL-HAQ: No, I think we had enough games, and in between we are having enough time to just practice, and we should be just getting used to these conditions, but these conditions are not easy, especially for the top order. Whoever is batting at the top, especially with the quality bowling lineups, two new balls, if you are not confident enough and you are not in runs, it could be really, really horrible for you, and that's what's happening. But if we really want to win against South Africa and we really want progress in this World Cup, we have to come up with some performances, otherwise in these teams, if you keep them scoring 200 to 230, 235 runs, it could be really difficult for you to win the games. Q. We saw some really aggressive bowling from your fast bowlers today, and of course you come up against one of the stronger batting units this week in South Africa. Are we likely to see that kind of aggressive approach from your quicks again? MISBAH-UL-HAQ: Yeah, I think that is the only survival for us because if your batting is not clicking, then you need to be really aggressive in your fielding and aggressive in your bowling lineup because if we are not getting that much runs, still we have to fight. Still we have to just keep looking for a win. So this is the way how we have to approach the game. Q. Misbah, Wahab has been around for a while now but not always been a regular in the side. Given what he did today, first half century and then the four wickets, is that the best you've seen him play? I know you've spoken about senior players needing to stand up and be counted before the game. MISBAH-UL-HAQ: I think Wahab was really bowling well, quick, but you could say on conditions like when you are playing in Dubai and Abu Dhabi, it could not suit him much, but whenever you just talk about the pitches in New Zealand and Australia where there is more bounce, it could be really deceptive, and that's what he's doing. Everybody knows that he's capable of doing some batting, also, and I think today he showed that. Almost he single-handedly just saved the whole team. His innings was very important, and then the kind of bowling he did, especially he bowled really quick, and some intelligent bowling, good bounces, and also he just mixed the length very well. At the moment you could say he's really doing well for our team. Q. Coming from Pakistan recently I know what the reaction is, really good, and congratulations on the win, first of all. Secondly, Irfan has spelled today and especially the length that he bowled, do you think this is the kind of length that you expect him to bowl on these wickets, especially in Australia, since obviously it was all style, putting the batsmen on the back foot time and again, and secondly, someone who you recently termed the oxygen of the team, and you've somehow cut off the supply of oxygen, Sarfraz I'm talking about. Any reasons at all, now perhaps you think he might be drafted in the playing 11? MISBAH-UL-HAQ: Yeah, we barely just want to play Sarfraz, but we are already trouble. Our batting is struggling, and if we put seven batsmen then we are one bowler short, so that's the kind of problem we are facing at the moment. Only thing we can do is that Sarfraz can open. But considering that he had open in field practice games, and it's a bit different from Asian conditions to just open in Australia and New Zealand. This is also a difficult decision for us. So let's see in the future. Maybe we have to do it. Irfan obviously bowled really well today, and it all depends the kind of batsmen he's bowling, and I think Zimbabweans were struggling against his short bowling and length bowling, so that was the plan and that's what he did. Maybe against the different teams he'll bowl different lengths. That was the strategy today, and I think he really bowled well. 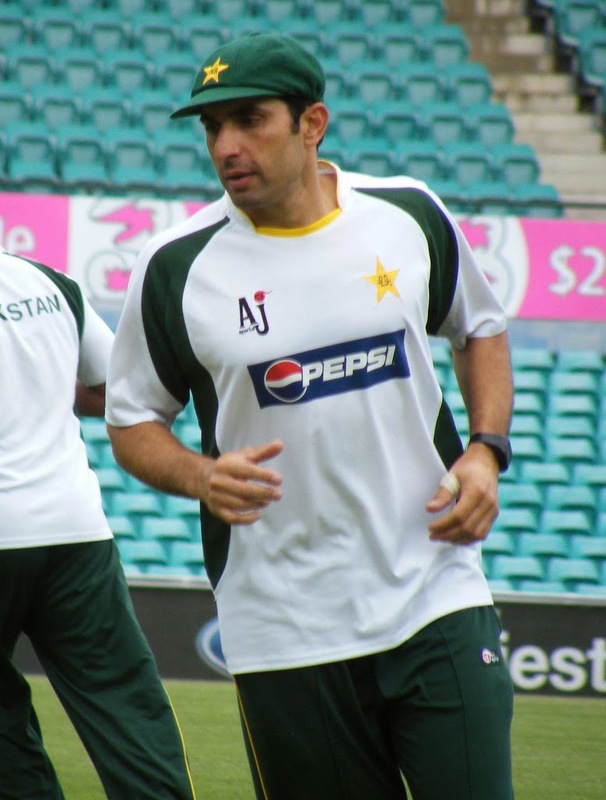 Q. Misbah, still on selection, it's never easy to drop a player as experienced as Younis. Talk to us a little bit about that. But also Yasir Shah played in the first game against India, high pressure game, has been missing from the next two. Where does he figure in players? MISBAH-UL-HAQ: Yeah, actually we could have gone with Yasir Shah today, but it was totally up against opposition. That's why we just went with full seamers because Grant have worked really for a longer time with the Zimbabweans and we also know they are good players of spin, and today they played Shahid Afridi really, really well, and I think that was you could see a strategical decision against Zimbabwe, we just put another seamer because they are comfortable against spinners. Maybe if we are playing any other team, we would have picked Yasir Shah in this pitch, and regarding Younis, I think it's the same scenario. It's really difficult for us in terms of bowling. We need to figure out five bowlers and then we need to just play with six batsmen. It's really difficult to just -- adjust everything. He was having a bit of tough times, not scoring runs and a bit of out of form. Sometimes pressure mounts on certain plays. I think we just dropped to him and decided that, okay, let's see, just give him a few games off and then see when we need him, and we haven't write him off because he's the kind of player who could really do well for your team, so he's very much part of the team, and let's see in coming games what we can do.